The Hallie Ford Museum of Art at Willamette University will present a ten year survey of Norman Lundin's work, including 30 paintings. Norman will give a lecture about his work on Friday, November 18 at 5:00 pm at Willamette University. 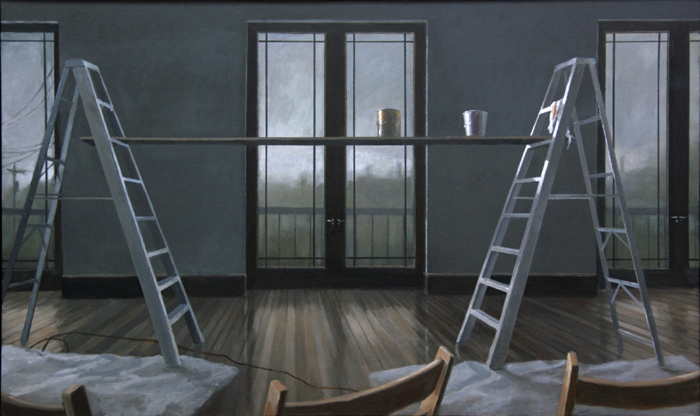 An exhibition of Seattle artist Norman Lundin’s work opens Nov. 19, 2011, and continues through Jan. 22, 2012, in the Melvin Henderson-Rubio Gallery at Willamette University’s Hallie Ford Museum of Art. Lundin will discuss his life, art and career in an illustrated lecture on Nov. 18 at 5 p.m. in the museum’s Roger Hull Lecture Hall. A preview reception will follow from 6–8 p.m. Admission to the lecture is complimentary. Lundin is a highly regarded professor emeritus from the University of Washington who creates exquisitely rendered paintings and drawings of still lifes and landscapes. Organized by museum director John Olbrantz, the exhibition includes 30 works drawn from public and private collections. 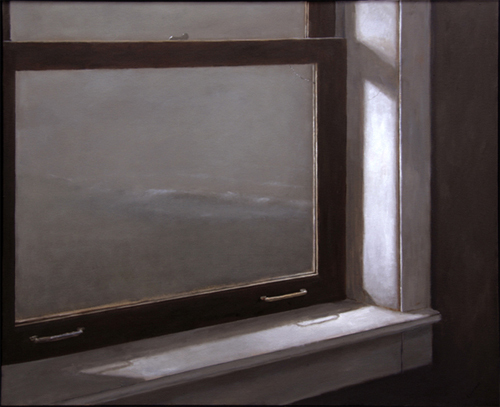 "Shoreline from the Boathouse Window", 2009, oil on canvas, 36x44"